Anniversary Alert: My blog is now 12 years old. And I am so grateful that these two aspects of my writing life are still with me. Sally and I are definitely a bit older and grayer in the muzzle. 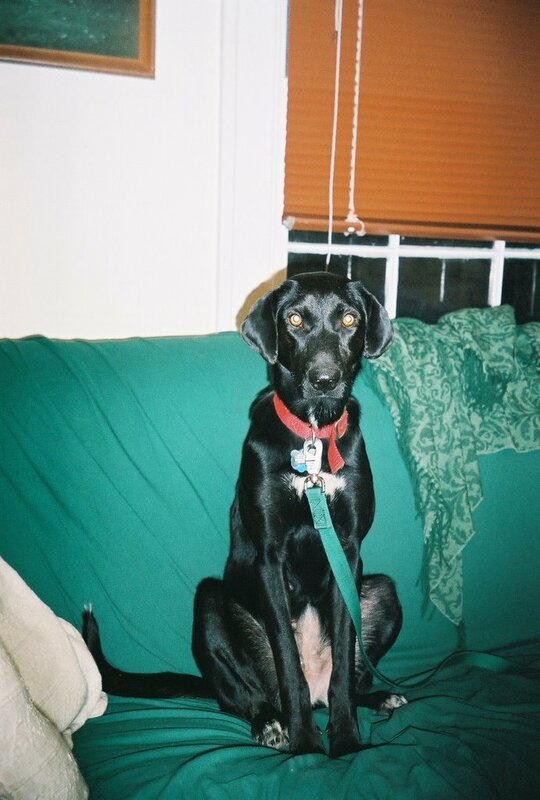 Harry the dog (RIP) is no longer with us. But the professor and I keep on keeping on, and while things have changed a great deal, that part is the same. 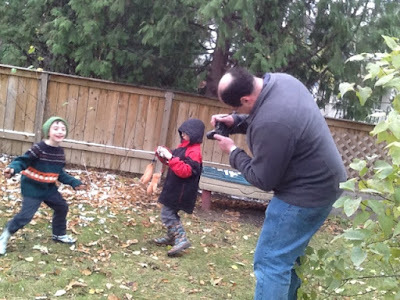 We now live in a different country (Canada) and have twins, but, well, I am grateful for all that's gone by. It's been a challenging week...what with twins having the stomach bug. They got better, while I had several strange work set backs, one after another. Things felt a bit...umm...black. I've definitely had a few missteps. My books took a ride to a book fair--but did not sell a single copy. My new pattern hasn't really taken off. (at all.) It was one downer after another. I even was prompted to consider whether I should be writing patterns at all anymore...has my career shifted? Am I doing other things now? I've been writing about fiber arts and designing knitwear for about 15 years now, and this seemed like a bleak, big choice. And the Professor had a paper come out. (I'm linking to an article about his paper...not all of us do genomics & evolution and development...) So, things are improving. I'm planning on taking some time to sit on the couch, drink tea, and knit this afternoon. I've got a roast chicken and roasted root veggies ready to go for supper, and I'm making applesauce in the slow cooker. Some anniversaries are quiet ones...but if you've been reading the blog for a while (or are brand new!) --I'd love to celebrate with you. Please leave a comment and say hello and tell me how long you've been reading? Today is the last day of 25% off sale for all my Rav patterns. The sale ends tonight, Monday night at midnight, Central Time, US &Canada. to get 25% off all my patterns! As I cleaned up little boys in the middle of the night, I also got to watch the CBC Facebook feed fill up with comments. Some thought I had a point...and others belittled me, my writing, my concerns about responsible parenting, and more. It was an interesting thing--one wonders why people need to take time to say all the negative stuff...did I make points that bothered them? Did they feel guilty? Were they truly interested in defending the privacy of our politicians' vacations? I have heard of writers who never read public comments on their work, and others who read everything and respond. I don't respond, for the most part, unless someone has written me privately. I do read the comments when I can though--and it would seem this piece struck a nerve. Please take advantage of the pattern sale while it lasts if you are knitter! Who knows if you too will be stuck on the couch with sick kids...and need your knitting...? 2) Second, if you are the kind of person who wants to say thank you by knitting for others, well, that is awesome. 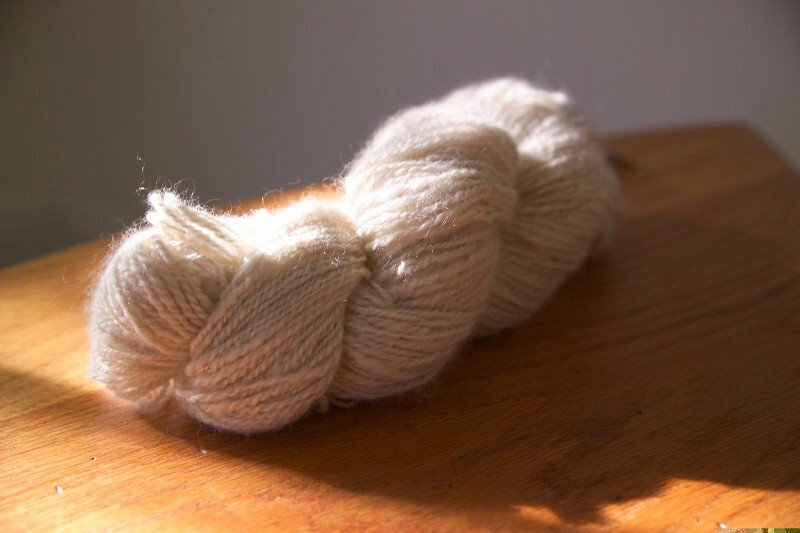 Yarncanada.ca wants to help you by giving yarn for you to knit for your good cause. They are offering free yarn (with a contest) to knitters in both the US and Canada who like to knit for good causes. So, if you knit for charity, hop on over there and enter their competition; the deadline is December 15th. 3) I cannot really cope with this time of year without cooking stuff. So, I'm making a roast and some potatoes and sweet potatoes and some squash and kale---and....my Professor bought me this cool set of things I had to tell you about. Here in Winnipeg, we have lots of root crops. We have an extended season vegetable share this year, so we're getting a lot of cabbage, carrots, etc and there's only so much slaw a person can eat, let me tell you. But I still was curious about fermentation. Small batch fermentation in a cooler climate seemed like more of a sure thing, so he bought me Pickle Pipes and glass Pickle Pebble glass weights to try this out with canning jars and rings. 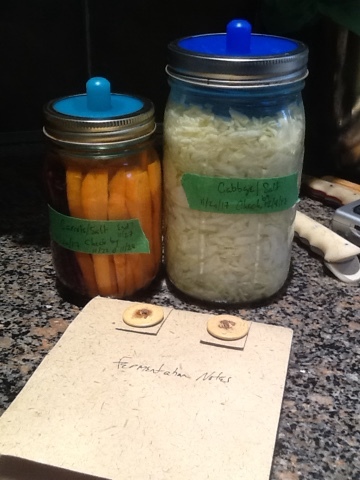 (We already had loads of those) I'm making my first small batches of sauerkraut and pickled carrots now. They sure look good sitting on the counter...and these silicon pickle pipes have a little valve at the top so the fermentation gets air without introducing anything else into the concoction. I look forward to seeing how it comes out. Have a wonderful holiday, or a great Thursday--wherever you live! This opinion piece ran on the CBC-Manitoba site this past weekend. I'd written something much longer that talked about how "the system" doesn't work in several ways--but an editor pared it way down. Through careful editing, it became sharper-more relevant. I was doubtful about some of the editing. Then I got an email from someone who founded a non-profit organization to strengthen legislation against domestic violence. She felt the article was just right. There you go then, good editing wins. ---oh wait! I do have a picture. Last week, I launched Woolly. This is my first ever published kid's sweater design...after 15 or so years of writing knitting patterns. If you're a knitter (or even if you aren't! ), please go check it out on Ravelry or on Loveknitting.com. I'd be grateful for a "favorite" or two... what's not to like about sheep with horns? Woolly is now live! 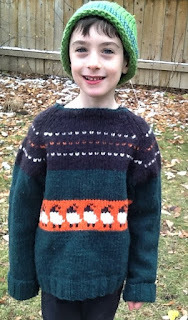 This is a knitting design for a kid's sweater, available on Ravelry and Loveknitting. This sweater was designed in large part by this kid, pictured, who wanted these colors (He chose them himself in Alberta at the woolen mill!) and explained he needed sheep... with horns, please, Mommy! Here are some snapshots and the full description, below. It's fall, time for knitting up some sheepy goodness! Woolly is also available on Loveknitting.com. 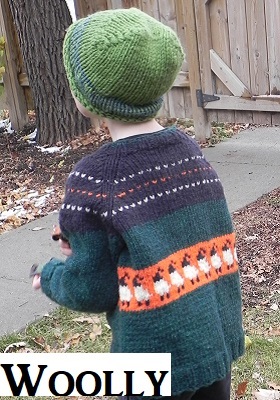 Here’s a child’s raglan sweater featuring sheep with horns included. (Shetland or Scottish Blackface? You pick!) Knit in 4 colors from the bottom up in the round, this design uses stranded knitting, written instructions and color charts, but never with more than two colors at a time. The sweater is completely reversible. If the kid spills on the front, as kids do…turn it around. It requires virtually no sewing at the end, just weaving in ends and joining up the underarm stitches. Woolly uses an Aran weight yarn that knits at 15 sts = 4'/10 cm after blocking on a size US 8 needle. This pattern requires the knitter to increase, decrease, knit with two colors at a time and follow a color chart. A year ago today, we had a record breaking warm day, it was 18.8C (66F). 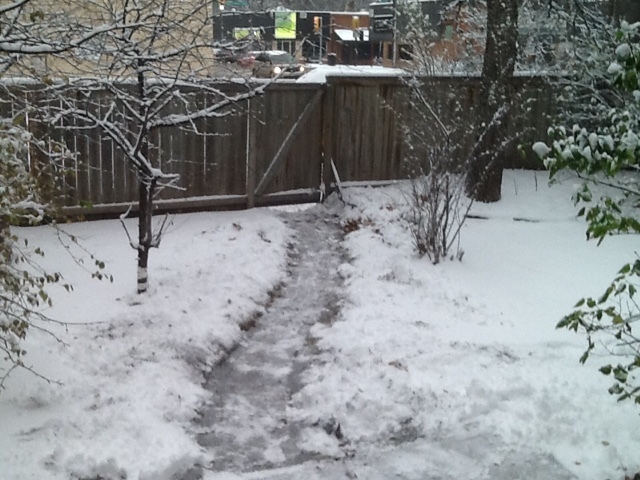 This morning, it was -21C(-6F) with a windchill of -31C (-24F). Massive shifts in weather, (climate change?) anyone? This week I got an email from one of the grade 1 teachers. Apparently, in Canada, kids go outside a lot for recess. My kids get 3 recesses, and if you count the time between the bus drop off and the first bell? 4. While my guys were mostly well dressed (sweater, snow pants, parka, extra hat under hood, insulated snow boots and doubled wool mitts)--apparently their mitts never dried off between play sessions. 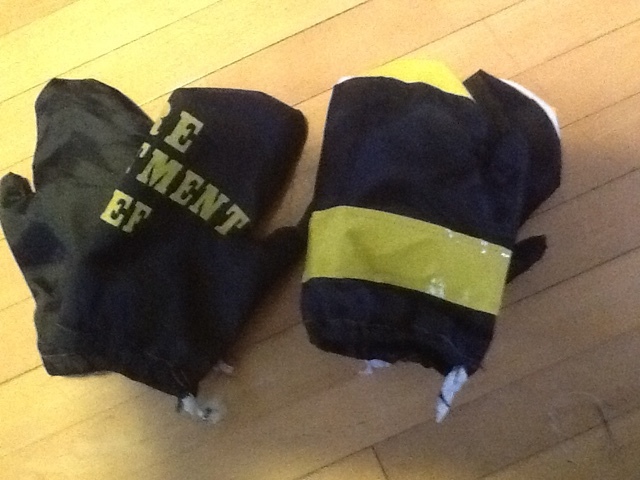 There was still snow on the wet mitts when they went to put them on at the next recess, and that wasn't a good plan. And then I wondered why kids couldn't put their mitts on the radiators like they do at home (no radiators, the boys said) and why kids in Canada had to play outside so much (they go outside until it's below -28 Celsius(-18F). When it is -29C? indoor recess... and well, the Professor caught me grumbling and dwelling on things. 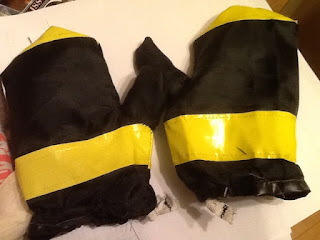 He went to the basement and dug around in the hand-me-down pile until he found a torn up Halloween costume cast-off--a fire fighters' costume made of some sort of nylon. (polyester, aka, petroleum byproduct.) He pointed out that cutting it up to reuse it would be the best solution....cheap, relatively fast, and most efficient. A few hours later, with the help of a sewing machine and me, we had waterproof mitten covers. So we could go out to play and shovel again, even before the mittens were dry on the radiator. 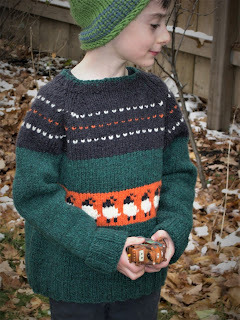 This sweater design is in the editing stage, and the pattern will be available in sizes 2-10. I don't usually post things from around the web, but I was heartened yesterday by two very positive things I saw online. 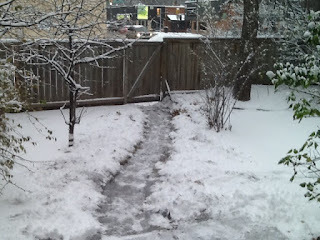 2) We are entering 'snow time'-as one of my twins likes to say, with a grin. We got our first snow in the middle of October, and it melted away. We've had gray days and flurries...but today, we're supposed to get actual snow that will stick. My kids and I are wearing wool socks every day; the kids wore warm snow boots and coats to trick or treat in the neighborhood last night--we're getting excited about the change in season.